"China's position on the eastern section of the Sino-Indian border areas is consistent and clear," a statement in Chinese said. 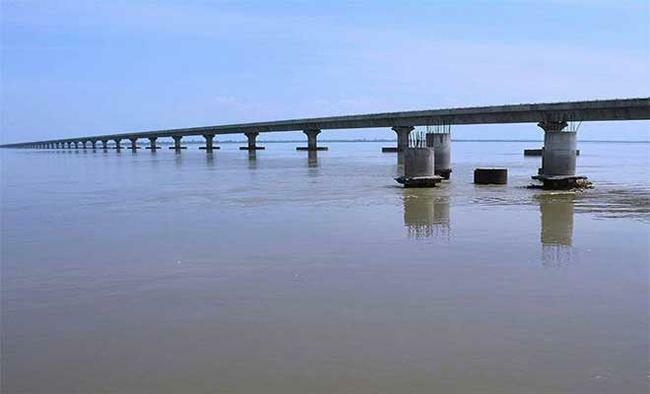 Modi last week opened the country's longest bridge over Brahmaputra river that connects Assam's easternmost region with Arunachal Pradesh, claimed and dubbed by China as South Tibet. "China and India should resolve territorial disputes through negotiations and consultations between the two countries," the Foreign Ministry said. China and India have a dragging border dispute. The 9.2 km Dhola-Sadiya bridge will cut the distance and travel time between Assam and Arunachal Pradesh by 165 km and five hours. Analysts say the bridge will ensure swift movement of Indian troops in Arunachal Pradesh, which, therefore, will bolster India's defence along the China border. China and India fought a brief war in 1962 when the Chinese entered Arunachal Pradesh and unilaterally declared a ceasefire after withdrawing to the McMahon Line. Since then Indian and Chinese troops have had several skirmishes.China has long been building infrastructure along the border unlike India, which, experts say, avoided building roads in the region, fearing a repeat of the 1962 war when the People's Liberation Army troops entered Assam.